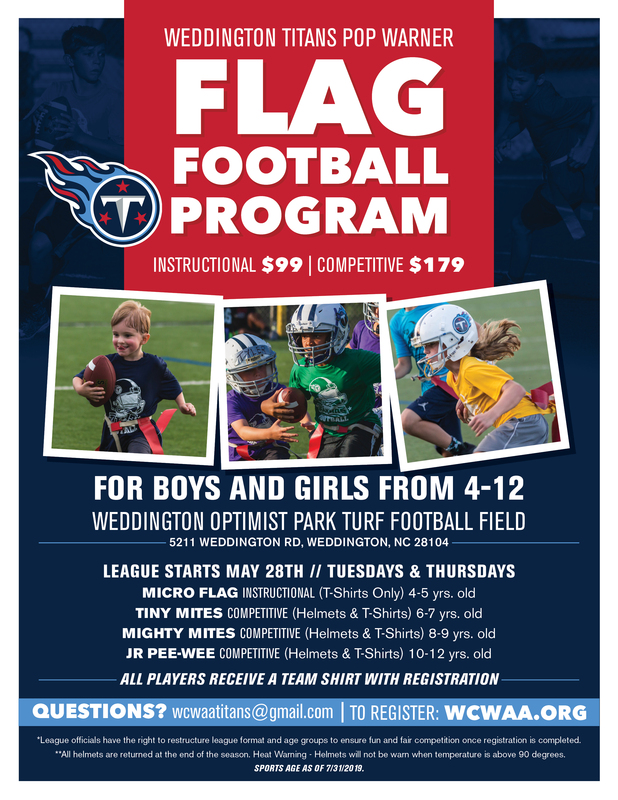 Micro Flag is our instructional league for 4 & 5 year olds that are just being introduced to the game of Football. Micro sessions will be on Tuesdays and Thursdays 5:30 pm to 6:30 pm (Shirts Only). Your child must turn 4 on or before July 31, 2019 to be eligible. The experience is great and allows kids to run, pass, and catch the ball. It is also great for defense as it teaches angles and how to break down in the open field. This is a great program for those interested in getting ready for our Fall Tackle Football Program.